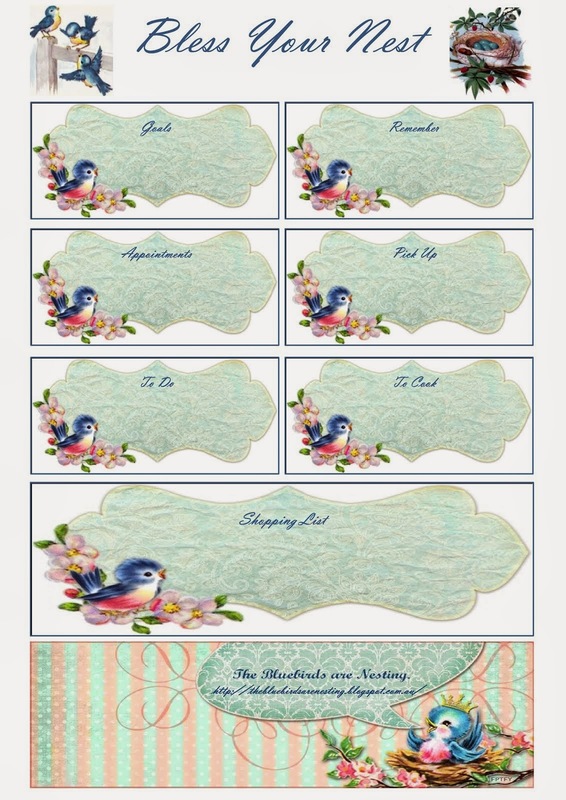 The Bluebirds are Nesting...: Feather your Nest Friday, 18th, 2019. Creating a happy home with what you have and a little organisation! If you watch little birds you will see they are busy and happy! Using whatever they can find they create the most gorgeous little nest. I would be the little bird with some glittery thread in her nest! We can be like this. Happily working away with the things that are available to us to create a beautiful and happy home. All the while with a little song in our heart. Banner by Free Pretty Things for You. Feather your Nest Friday, 18th, 2019. It was another good week. We had some hot days! I am not a fan of the heat. But some good comes of it in that I do get more things made... I need to stay inside during the worst of it. And it is the perfect time to do things like wash the woollen underlay, quilt, pillows, blankets etc. So that is what I did. Nothing smells like sunshine dried and aired linen. Things were all back on the bed by evening. For anything wool or feather I use this homemade mix Wool Wash. It smells so good and it makes things so very soft. Blankets etc come up just beautifully. So I set the sunshine to use! 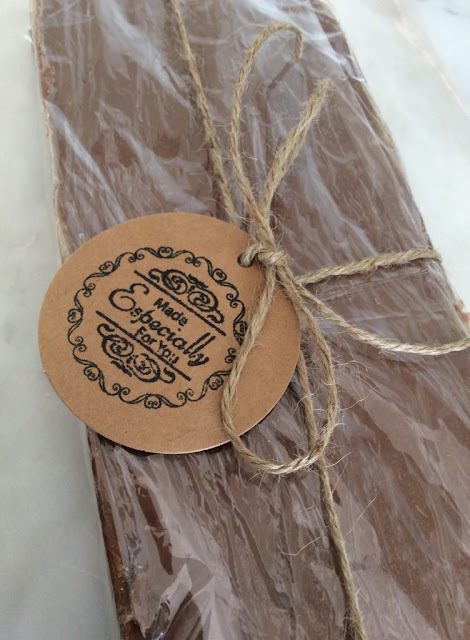 I made Luke a slab of fudge and used one of my little labels to tie it up. He always does us favours so I mostly try and do something for him which is usually cooking. I have pink Gerbera's right next to the back step. The rest of this section of garden is all herbs and veggies but for this little burst of pink just as you come into the house. I got a ham with $10 off the price. I baked it and we had cold meat and salads. I made a big rice salad. Each day I picked tomatoes! I have just reached the point that I can't keep up. So I think I will dehydrate some and pack them into olive oil and make some relish. We love both! Mum came over on Sunday for afternoon tea to see our outdoor table and chairs and what we have been doing. 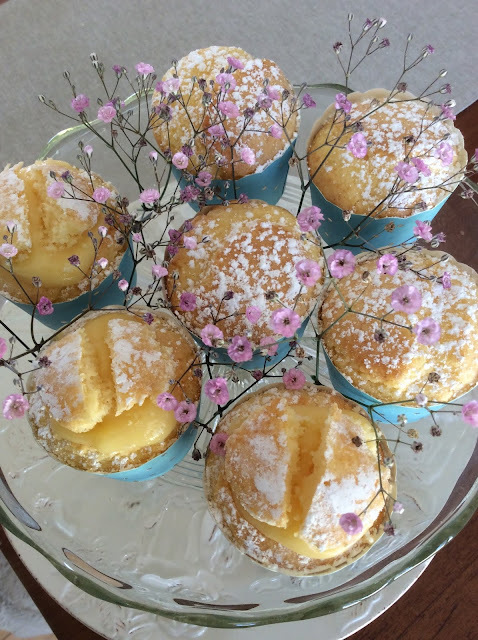 I used up some of my lemon butter to fill little cakes. Mum gave me some cold packs for the freezer. I take frozen packs when I grocery shop. Everything cold is packed in together for the trip home. I never go shopping without my eski etc. Just now I am in the city. I am doing a stock up at Aldi today. I have frozen packs and insulated bags to pack it all into! It is a three hour drive home and hot but this will keep everything perfectly cold. Luke came over to see us with four packs of fresh pork. It gives us four generous meals. He and a friend went halves in a pig. They were packing it to freeze and he set some aside for us. I count every meal we get ahead and write them on my list on the freezer. Andy is working on a sprinkler system for right around the veranda and roof of the house. This is so that if a fire comes we have both a perimeter of sprinklers and lawn and water over the house itself. I will be glad when this is finished. We also have a generator so if the power goes out we can still run the sprinklers. I have been working away every spare minute on making things and setting things to good use but I will report all of this in The Tuesday Afternoon Club. I hope over the weekend I have some time to do more! How did you build up your nest, get ahead, increase your pantry or save this week? 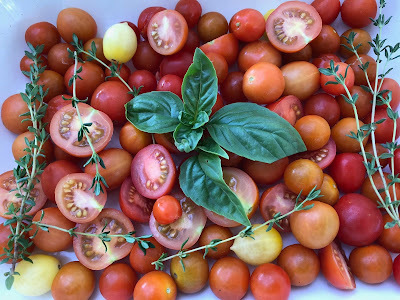 Being summer here my main way to increase the pantry is fruit, tomatoes and herbs coming in. I will get on to tomatoes when I get home. I think the pears are close to ready to pick too! And I think next week we will be at the farm down south and I might come home with figs! Labels: Feather your Nest Friday. Everything is so nice but those pink Gerbera's are just so pretty! We are getting ready for a little bit of snow and ice here so we are snuggled right in our home. I'm still knitting away on the scarf. I'm learning so it's not as pretty as I would like it. I will show it on your page when I get it done. Have a wonderful day! It all sounds so lovely - even the heat at this point. We are gearing up for another winter storm and very frigid temps coming in. This week I have stayed home and have been using what I have. I will be making cinnamon rolls tomorrow. I did make suet treats for the birds and squirrels. Dear Cheryl, It is lovely that you feed the birds and Squirrels in the cold. What extremes to be hot here and so cold there! I would say cinnamon rolls with be beautiful and make the house smell amazing too! That shade of pink Gerbera is lovely Annabel. Gerbera's are such a good addition to a garden as they need to lifted and divided every couple of years or so and providing free plants. We are still using the tomatoes grown back in our growing season as we cut a lot up and froze them for adding to casseroles and soups. I used some of them as a base for a delicious pasta sauce this week. We also gave lots away during the growing season. It is too hot and humid for veggie gardening here at present. I have been eating the last of the mangoes from our trees. The possums got most of the mangoes this year. We still have a few apples left on one of our apple trees. I have a small apple ready to cut into halves to give to our dogs as they love apples. I have been working away this week on a crochet bed throw. Our grocery shopping was very inexpensive this fortnight as we had so much on hand, including home made meals in the freezer. I hope you and all your readers have a lovely, fruitful week. It sounds amazing to have Mangoes. In Adelaide we had possums. We had an apricot tree and the possums raided it and at first we had no idea what was going on! Soon we saw it was possums. They were very tame too and weren't bothered by us. We tried a heap of things but nothing worked. Finally we found a solution! We set up a motion sensor very bright light pointing into the tree. As soon as a possum approached the light went off. It was amassing as we could see kind of frozen on the spot possums and then after a bit they would move off. It worked!! They hate the light. And we didnt lose apricots after that. I hope to see your throw when it is all finished. I am so inspired. Now I have yards coming as I want to do a couple of rugs and I think crochet is becoming a serious addiction! Thanks Annabel for the tip on using a sensor light for keeping possums at bay. I will talk to my husband to see if this is something we could try next mango fruiting season. 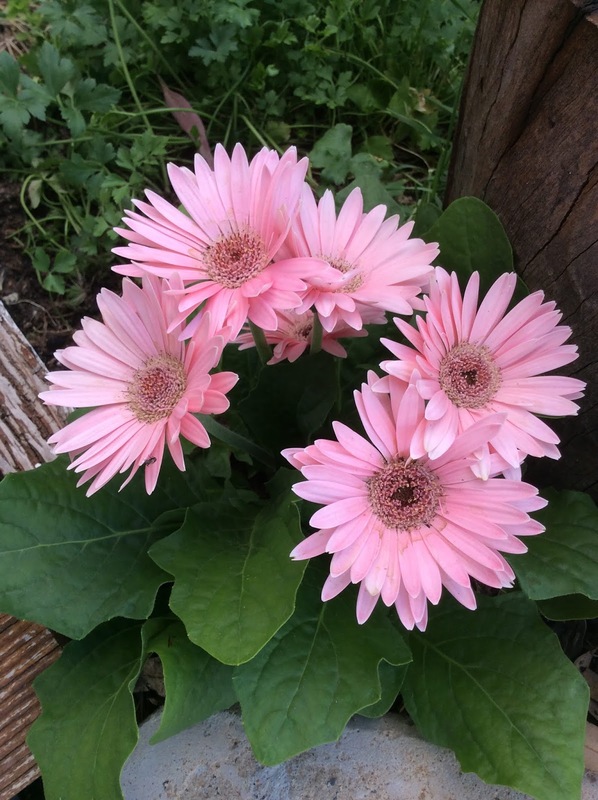 I don't think I have ever seen pink Gerbera's like yours. They are just beautiful. Here in the USA they are all in strong, bright colors. What a blessing to be over run by tomatoes. I love the way your family looks out for each other and shares. The cold just goes on and on here. We are always under thick throws when we sit and dress in many layers every morning. I broke down the last ham bought over Christmas and put 40 pkg of slices and diced ham in the freezer. Lidl had ground chuck beef for only $1.29 a pound this week. The least I ever pay for it is $2.99 a pound. We stocked up and put partially grilled burgers and ready to cook meatloaves in the freezer. We are working on organizing the garage since it got out of hand over the last few months. The house hunt continues and we are still trusting God for the outcome. Dear Lana, Here too Gerbera's have usually been orange, red, yellow, apricot... Nan grew them. When I saw these pink ones I was surprised which is how I ended up with them. I hope I can keep them going! It sounds so cold. I always have to convert Celsius to F and try to figure it out. We seldom go below zero and no snow... heat is much more our issue. But I think extreme weather has things in common either way... partly safety and health issues and then staying indoors and having things to keep you content. I think it will be colder here in winter though so we will see how that is! Annabel you have had a great week making so many things. You are right and the heat has been oppressive of late with our temperatures getting to 37 oc here of late and some days not a whisp of a breeze. We set up our collapsible rain water tank as a pool on the back undercover cemented patio as it has a cover and have been luxuriating and floating in that. We no longer need this tank as we have 3 large ones on the property and having a cover it meets council regulations (covering anything 30 cm or more deep water) and we don't have to have a licence/fence for a pool this way or have yearly inspections either :). It has been way to hot here to do much work outdoors at the moment but got a lot done here though. Our Vicky challenge added up to $471.13 in savings last week. - We vacuumed the large area rugs we had from our last home and one is now near the back door as a rather large door mat inside and the other we set up in the lounge room under our recliners. - DH sorted out the last bits and pieces in the lounge room and set up our filing stackable drawers for bills and the like. - I damp dusted all of the skirting boards, window sills and furniture in the home to freshen it up a bit. - Shortened curtains we already had that I made for the last property for the bedroom. - Made a half batch of brownie premix from food storage saving $18.13 over purchasing premade packet mixes. - Made a cheesecake from cream cheese bought on special at Christmas time, lemon juice from free lemons given to us, and nice biscuits also on special saving $69.48 over buying one of equivalent quality and size in the shops. - Listed 94 listings of homemade items/homegrown herbs and saved seeds on eBay using a free listing promotion saving $155.10 on usual listing fees. - Purchased a wire crimper stripper, 120 pce wire connector set, a grease gun, 2 x toggle switches and a set of fenching pliers on eBay saving $168.88 over buying them in the local hardware and auto stores here. - Purchased 2 orders of groceries using 2 discount supermarket e-vouchers and with specials saved a further $52.15 on usual prices and including the e-voucher discounts saved $132.15 in total. Have a fantastic week ahead everyone :). Dear Lorna, I am just amazed by the number of eBay listings you got up but also that you got them all free! Ebay is both making you money and saving it! Now how do I not know abut collapsable rain water tanks? I am going to look into this! You are starting to sound well settled in. And back to your usual type of savings too. This is a very nice time as I remember well how I felt when the moving and packing was over. My daughter and her family are just now in the throws of the worst of it with the whole house packed up bar beds and a few things and moving day is Tuesday. You go through a time you think it will never end. She is in that time right now. It is blissful being unpacked and starting to get things as you want them and feeling organised again. I love it. Love reading your Friday posts as they are full of ideas, often simple yet overlooked ways, that we can glean from to feather our own nests. I'm harvesting guavas right now, and having never tried one I can say they are tiny, but delicious and have become our morning tea fruit. Dear Jenny, I think Guavas are a lovely colour inside? I will have to look into what to do with them but if they are your fruit now then that is just lovely! This week a friend gave me a SCOBY, and a lesson on how to brew my own Kombucha! I have it brewing away in my pantry, and I will be able to bottle it next Tuesday, I find it to be a very refreshing drink, and if it is good for you, as is claimed by many, then it's a win/win. It is so expensive to buy in the shops, and not as nice in my opinion. I was gifted a huge bag of Silverbeet, it actually ended up weighing 1kg! Hubby made the loveliest Spanakopita with it. I made 3 jars of Chilli Jam yesterday with all the chilli's I've been growing and freezing, and I think I will make another batch this afternoon, as I still have heaps of chilli's to use, and I want to try a different recipe to see if I like it better. Have a lovely weekend, and for goodness sake keep cool whatever you do. I do hear that Kombucha is very healthy and people pay a lot for it for the health effects. I have a lot of silver beat. I am going to google that recipe. I have had spinach pies that I have liked very much and I think I would like to try something like that. I also have ambitions about making chilli jam if my chillis are successful. Thank you for your photos of flowers & tomatoes and herbs. We are looking into the teeth of a winter storm tomorrow (freezing drizzle, snow, 40mph winds, bitter cold) and I am tired of winter. Your photos brought me a smile. The tomatoes look wonderful. Not sure if you do this but making pasta sauce for spaghetti is a useful idea for abundance of tomatoes. Love the pink colour of the gerbras. I am still eating our Christmas ham let alone buying another ham. Not sure if you have considered this but when we had to drive to town to do our groceries we invested in a car fridge/freezer. Yes they can be an expensive outlay for a large one but we looked around in the sales and got one cheap enough and we still use this even though we are closer to the shops. Cooking and more crafting are on the agenda for late next week. I think DD is gluten free... I am not sure if she is dairy free? Little pancakes might be a possibility as they can be made with any milk, any flour. Chloe has a car fridge, freezer like yours. She loves it! So we will consider and Aldi have them once or twice a year for a very good price. I think it would be a good investment. Sounds like a lovely week, hope you get your roof sprinkler set up soon, such bad conditions again in the south. We have cooler weather in SE Qld but rain would be great. Tank ran dry at the house last night, finished cleaning up from tea and turned tap to fill kettle and no water. 10000 gallon since November. Had to pump water over from the shed tanks. Creek also getting lower. I am disliking the morning TV shows saying that there is extreme hot weather then proceed to show people at the beach. There is more toAus than the beach. Cleaned my gardens, watering the grass & trees (creek water), baked lemon slice & cranberry biscuits , the slow peaceful rhythm of life. Dear Erin, We have really bad conditions today and the roof system isn't finished yet! This is the first day I have felt truly nervous as it is now 45 and windy. I am glad you have the shed tanks as back up. We have that too as there are some big sheds here even the shearing shed. Thank goodness. I'm glad you've had another good week and managed to stay out of the heat! Your garden is really starting to produce! The tea with your mum sounded lovely with the beautifully arranged little cakes. We've had a good week here, too. Being on the opposite season, we are enjoying our cool weather and getting outside. I found a large geranium and lantana marked down to $1 each since they needed some care. The lantana was actually 3 little plants, which I separated and replanted. We also purchased some items to make a repair and were pleased to receive a coupon good for $5 off a future purchase of $25. We've had some good things in the medical/health area, too. My blood pressure monitor quit working. I couldn't find the receipt, making me think I would be out of luck returning it. It was Walgreens' brand and when I took it in to Walgreens, I was told that as long as I selected the same model, they would exchange it with no receipt needed. That was a savings of $50! My husband's insurance reinstated the allowance for over-the-counter supplies that they had discontinued last year. We can now get $80 of supplies such as bandaids, cough syrup, aspirin, sunscreen, first aid and various other items each quarter. I cooked a ham which will make a variety of meals, including the broth and the bone. Some of it is packaged and in the freezer for future use. We've been enjoying lots of salads from the garden produce. I haven't made much yet, but i did let my husband select the fabric he liked from what I had and made him his own rice heat pack in a soft flannel plaid. I have all the materials on hand to make the jar openers that I think will make handy little gifts. I've been gathering materials and patterns and getting lots of inspiration from the Tuesday Afternoon Club. I've done some repairs and remodels, which although not as much fun, do make me happy when something can be made useful again. I managed to fix the zipper on a pretty quilted bag my sister-in-law made me that wasn't useful at all with the zipper broken. Also took in a couple tops that I had been given that were too large and now are a nice addition to my wardrobe. Wishing everyone a beautiful weekend! Dear Elaine, Sorry I have taken so long to reply! This week the girls moved down to the farmhouse then I got a migraine! The plants were a good deal! Also it was great about the blood pressure monitor! I am amazed at the $80 a quarter for medical supplies. With some thought and planning you can really stock up supplies well. Even Medical supplies usually have specials at times to make that money go even further. Heat packs are such a good gift. I also thought the jar openers were very clever! I also have tops to alter!! We have really hot weather now. I might get sewing tomorrow and fix those tops as they are summer ones and I could be wearing them! I had to edit the wool wash link, it took you to every type of soap except wool wash. Sorry! Lovely gerberas in a beautiful shade works out a nice saving as if you had to buy them they are pretty costly. have been putting jugs of water and cordial in the fridge as I didn't buy soft drinks this month. Today we had a great down pour of rain so I wont need to water the garden for a few days. My best money saving effort has been my free Priceline calendar. Each day I have written down 3 ways I have saved money that day. I am off to Savers tomorrow to donate a large bag of goods. I have put 3 nearly empty deodorants out to finish off and 2 travellers packs of toothpaste to use. My motto this year is use up, declutter and save heaps! Have a lovely weekend all Leanne. Air drying herbs is the way to go in this weather! It is fast! Good idea. You were lucky with the rain! I would love some now. I LOVE those Gerbera's, what a beautiful greeting for your entrance, and such a gorgeous pink! Putting your label on Luke's cake is really special. I am sure he really appreciates your gifts. Baked a couple of cakes and a batch of biscuits. I tried Cath's fruit salad cake, and serve it up for dessert with ice-cream. Made all meals from scratch including hubby's meals etc to take to work. Made another batch of kombucha, sourdough bread and yoghurt. In the oven at the moment are grapefruit slices. I came up with the idea this afternoon, rather than let them go to waste, I would dry them for potpourri and other things. Not much crafting happening here although I am organising my room in readiness. This is going to take a while in between the heat and interruptions. I have lots of plans too! Dear Tania, Some tomatoes may well be frozen for sure. Today I roasted a big tray to make quiches tonight as I need cold meals to come home to tomorrow night. I gave Chloe a lot of tomatoes and will take some to Lucy tomorrow night. But I look out there and see I missed many and need to go picking again! Tania... the wool mix is a good introduction to soap making kind of. It starts off as a liquid in the jar. Then it sets to an actual soap, hard and white. You will really like it. The week is heating up. Thursday sounds yuk! So I know you will be not loving thee weather this week either. Cold dinners are what we have too. Dear Annabel, you have had a wonderful week. We have had a reasonably productive time here. We had two of meat chickens for Christmas, one the Thursday before when no3 son and his family were home from western Queensland and the other on Christmas Day. The rest are now in our freezer, 11 whole chickens and 10 chickens cut in their different cuts, so lots of legs, breasts etc and also the carcases ready for soups and stocks. Also have frozen 10kgs of sliced green beans, and cut the kernals off 60 cobs of corn and they are open frozen in the freezer and tomorrow I will freeze them in my foodsaver/vacuum bags. We have loads more corn coming in. We also had to travel to the "city" to see our opthomologist (sp) and we both received good repots and DH now does not have to have his 6 monthly one any more, so a great saving. My daughter took me back down there to day to see a surgeon, about my damaged lower back, I go back in about a fortnight to have an MRI, and them to see the surgeon again and we will then decide the best way to go, so here's hoping, but it could well be surgery if the damage is to bad. It is still so hot over here, especially at night, and we have another dust storm to day. Lorraine I am sorry to hear about your back being so bad and hope they can do something for you preferably without surgery. Although back surgery has come a long way in recent years with lots of advances in techniques. Thinking of you friend and you have done so well preserving all of that produce and chicken too. then,on what is the best, however he feels that the needles will not be enough. My lower spinal column is severely impinged on L5 and above that not so bad. Hi Annabel,your site is great! I'm in the US & was wondering what methylated spirits are. I'd like to make the wool wash. Thanks! You're an inspiration! This week was a busy one. I often thought I'd take a bit of time out and do nothing but somehow I had to just go on and do something each day. I made a big meal for myself on Sunday and then it served us on Monday and I put a good sized portion aside in the freezer for another day. I spent most of my week organizing spaces in my home. I have been very motivated to clear out the things I seldom use or touch and to better organize what I choose to keep. I can tell that though I thought myself rather well organized there are things yet that I shall need to consider and redo. I spent an equal amount of time shopping this week. The grocery one day, then a trip out to several stores to pick up things needed in our home one day, and last a trip to the DIY store where I also picked up items needed to repot orchids and bird seed and a feeder for my pleasure and a new fern. All items purchased this week have been on my list of things wanted/needed for quite some time and I stuck hard to my list. I didn't find every single item but I found enough at good prices to make me happy I gave up the time to do this shopping. It's funny to say that I spent money and consider it frugal but I know that each purchase was well thought out and not a random bringing in of still more stuff into our household. Each item will serve a purpose and either promote comfort or pleasure in our household and that is good investment spending! Dear Terri, I love it when I find the things on my wish list. One for me was cushions for our new lounge. So I understand and have a list like that. I also got a mat for the girls room and I feel the same it was good investment spending. Such a good week. Since it's been cold all I want to do is eat so your slab of fudge made me drool. All meals have been made at home and since the sales and mark downs weren't any good I spent very little of the grocery budget and made 1 pack of ground beef stretch for 4 meals. The last being a pot of use it up soup with rolls and salad. We are supposed to get a massive storm, but we are ready. No playing in the snow for me! I am staying inside and enjoying being mellow. That added up to a pretty good week... and I know this week you have had some good things too! So pleased. While you are freezing we are sweltering! Either way it is indoor weather. I am amazed your chooks lay so well when it is so cold but it is fantastic that they do! I must say that 10 doz farm fresh eggs here would be at least $50. Sometimes a doz eggs here like the free range ones are $8 a dozen! Hi Annabel I just want to second your vote on your wool wash I made it and it really does do wonders for bedding. I used it to strip wash two lightweight doonas, pillows and mattress protectors. 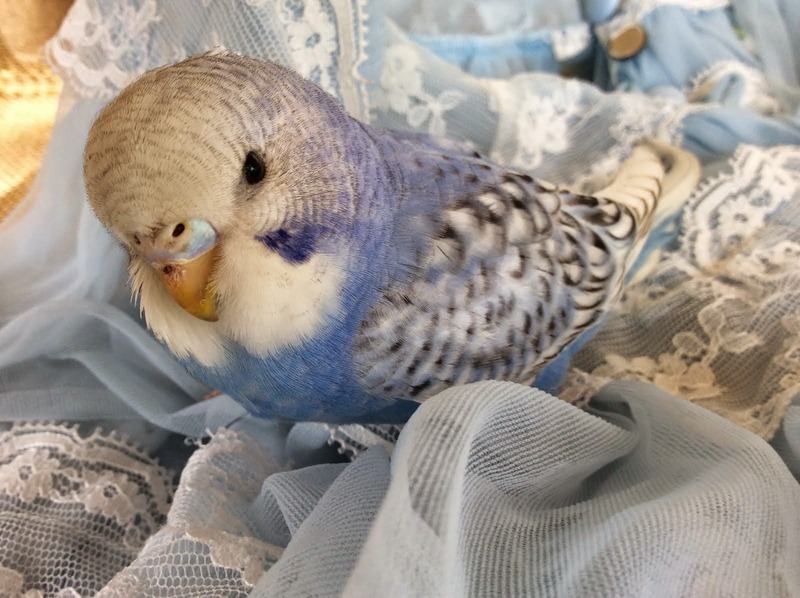 I had Bluey with a fever recently and all the bedding was washed in the wool wash on several occasions. Brilliant! This week I cleaned out and rearranged the sewing room. Bluey helped me set up a small ironing station. He picked up a two drawer filing cabinet from the tip shop and got some wheels from the Bunnings rubbish pile. He found a board to go on top of the cabinet. I covered it in some ironing board insulation and fabric. This is command velcro attached to the cabinet. It works a treat and means the big ironing board isnt taking up all the space. Bluey and I celebrated our 31st Wedding Anniversary. We went out to a local Pub overlooking the water and had a lovely meal. Katie and I went on an Op Shop trawl. I spent $10 on a QS cotton doona cover, 2 single cotton doona covers, 2 4XL mens cotton shirts and about 7m of cotton fabric bits. Today I cut all of this up and removed the buttons. I have a huge amount of lovely cotton fabric and quite the pile of buttons added to the button jar. This amount of fabric would have cost well over $100. I am looking forward to the heat and humidity being a past memory. Until then I drink lots of water and then lots more. Life is hot and sweaty, drink lots of water type good. Dear Jane, Thank you! Well I think that recipe improves things i.e. if I buy a blanket in the op shop or something by the time I have finished with it with the wool wash and sunshine it is 100x as soft as it started out and it smells gorgeous! Your ironing station is such a good idea. Not having to set anything up it is ready to go! You are making me want to go op shopping!! What a way to get good fabric. Very smart. Oh... I must get you to share how you did that in the Tuesday Club. Many girls do not know how much beautiful fabric you can get this way. It is brilliant. And saving the buttons too! You have had another great week! I love gerbera daisies...that color is just gorgeous. I bet your son-in-law loved his fudge! That is such a great guy gift. This is wonderful that Andy is setting up a sprinkler system...you will feel so much more prepared for bushfire season. I have been very busy this week trying to check some things off of my "list". I got the baseboards and moulding all cleaned in our front hallway. We live in a very old house and the (very old) front door does not seal out the outside air. So in the very humid part of summer and during the colder, humid part of winter, the front hall, which is north facing, tends to want to mildew on the the trim. So about twice a year I have to go all over it with chlorine bleach and clean it all off...which subsequently also wipes off all the finger marks, etc, too. :) This was a big job...I also wiped down all the walls (not mildewy...just dusty), cleaned the light fixture, and mopped the floor. Looks much better. Also used a Magic Eraser on a couple of black marks on the wall in the guest room and on some spots on the upstairs hall. Did some more crafting, though I am held up on embroidering a tea towel as I find I don't have any black embroidery thread, which I need to match the trim I sewed on the towel, so that's on a back burner. 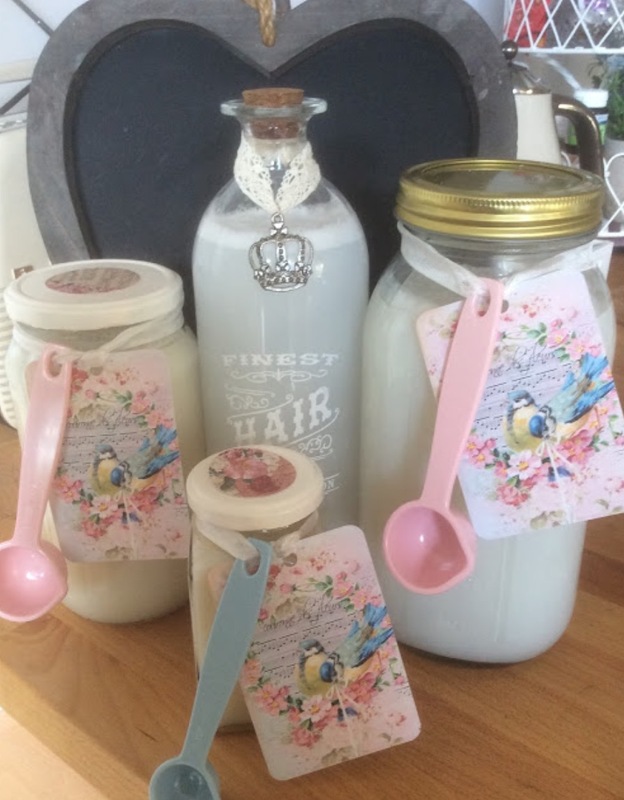 My eldest went in for surgery to remove her four wisdom teeth, yesterday, so I've been nursing her and making lots of ice and pureed food, and lots of yogurt. And we have a big storm on its way, so making sure we have lots of water in jugs for us and the chickens today! Off for a walk for exercise this afternoon before I have to get my exercise shoveling snow tomorrow!!! And then I'm looking forward to sitting down a bit with my knitting and planning out some "jobs" for next week! Dear Jen, Well done on working through your list. Baseboards are not my favourite but I love getting things like this done. I hope your daughter is doing well. I remember getting my wisdom teeth out as a teenager. Not the greatest experience I ever had. I know you will have looked after her well. You had a very productive week, for sure! I read the wool wash recipe and saw that you mentioned a small spoonful in a jug of hot water; then use in the bucket or washing machine. I was wondering how much water to a small spoonful; the whole jug or just a few ounces? Maybe, I just missed it in the directions and, if so, I apologize for re-asking. I am, at present, making beef bone broth. It has been a quiet week here, as usual. Since we are both retired and home all the time, whether we go out or not depends on if it is necessary. Other than a couple of medical appointments and one grocery run, we were home all week. Home is my favorite place to be anyway. I have been working on a plan to use up our freezer items, some food storage rotation, and to make all our breads, desserts, etc. When I am not up to par, health wise, John tends to buy more goodies and breads. We have all the ingredients to make everything already, so it is not a good use of resources when we have to buy. Your crocheted washcloths are lovely and the muffins look delicious. Have a nice weekend, Bluebirds. Dear Glenda, Home is my favourite place to be also! Re the Wool Wash. For a load of washing I take a spoonful of wool wash and dissolve it in hot water, the amount doesnt matter as long as it is dissolved. Pour this into the machine and go ahead with whatever temperature wash you want. If I am hand washing I use a teaspoon of wool wash in the bucket and use hot water first to dissolve that then add cooler water as I am usually washing woollens so will want only slightly warm water. Bone broth is a good idea. When we get back to cooler weather I will get back to broth and soup. Thank you for the clarification on the wool wash. Thank you for the tip on laundry stretcher. I am just thinking of making up some laundry liquid inspired by beautiful pictures in the fb tuesday club. So many ideas! The amazing time you had visiting!! I would have been so thrilled (and I know you were!) The Queen sized quilt cover was another bonus! Really what a wonderful week. I am sorry to be so slow to reply. This week we had Lucy and her family move to their farmhouse. We all got home late then I had a migraine. So now I am catching up. It is wonderful that your Mil is so helpful. So pleased the quilt came up so well! I have been writing everything down and I'm pleased with the progress I am making with regards to my new year goals! I am behind on reporting though so I'll just mention the main things. One of the biggest things is that we have decided to be a one-vehicle family again. With Colton's schedule there really is no need for us to have two, and in case of emergency, there are several other vehicles on the ranch. This cuts down on gas, and even more, insurance costs. We'll save $100 a month on that alone, so very happy. I have been doing lots of baking, some for us to eat, some for the fire station, and some for the freezer. I've also been harvesting lots of garden veggies, which we have been eating and sharing with friends. I've also been making use of the dehydrator my dad gave me and will send pics for show and tell! I have done some crafting, shopped grocery sales, and purchased a few second hand items. We traveled to visit my MIL, and they have excellent thrift stores where she is. I got several name brand Wrangler clothes for John in his next size for just a few dollars each (regular $20+ new). I also got a veggie spiral slicer for $3, which I have been wanting, and we found a wooden door that I will use as my garden gate. Colton fixed our garden tiller instead of taking it to a repair man, so big savings there too. I have been battling allergies for the past two weeks, only to find that it is actually a virus that is going around. I stayed out of the doctor's office by treating myself with essential oils, and now I am all better! My total for the last two weeks comes to $1148.62! I hope everyone has a wonderful week to come! Dear Kelsey, I am so glad you are keeping track of your goals and savings! It does make you feel good to see your progress and to me this encourages me a lot! There is a point to things, you can see your efforts equal results! The car savings will be huge! I think you are helping keep morale high at the fire station! That is lovely! The thrift store sounds excellent. Lovely clothes put away for John is a good idea. I always had boxes made up with sizes written on them and stashed things away. This was such a help. When it came time to go through that size box it was like Christmas as I had often forgot all that had gone in there over time! I like the veggie spiralizer with zucchini. I fry them up in a little olive oil, quite lightly, not soggy. I usually do a tomato/meat sauce with lots of cheese on top. It is delicious! Dear Sonia, Wow you are doing so well. How beautiful of your na to help you get a new puppy! I am sorry about your little dog but she must have been well looked after to get to 18 that is wonderful. I will work on a way to get all my recipes together. I will think on how to do that. Spam is never published... if you are advertising a product or selling website your comment wont be published. I am inundated with stuff about drugs, horses and weird things! I am not going to publish this stuff! Thank you. Free e book. Released in post series. Random Acts of CHristmas Kindness. Stretch a Meal and Use it Up! Cooking. The World Within our Walls. Bluebirds Weekly or Daily Planner.Click on image. Press print on printer above small complete image. Enjoy! Feather your Nest Friday, 1st February, 2019. The Tuesday Afternoon Club, 29th January 2019. Feather your Nest Friday, 25th January, 2019. The first blog Tuesday Afternoon Club meeting! Feather your Nest Friday, 11 January, 2019. The second challenge. Set it to use. Feather your Nest Friday, 4th January 2019. You are welcome to share the content of my blog but please be nice and link it back to me. Thanks.